The growth of social media has been relentless during the last 18 months, both in terms of its ever expanding user base and the range of applications that is has within the commercial world. Despite this, however, there are genuine concerns that social media have reached saturation point within the business market, so that by the close of 2013 it will no longer be expanding into new and diverse territory. With this in mind, now is a good time for commercial organizations to consider evolving their social networking activities, and bring their virtual collection of contacts into a real and physical environment. This fusion of traditional and digital networking methods is certainly emerging as common place among forward thinking organizations, and suggests that there is already a drive to build upon social platforms to create a more tangible business practice. For these innovative companies, the Social Media Day Meet-up is the new networking method of choice, as this transfers an established professional network into a real world environment. Essentially, it is a physical event that is organized and planned through the medium of social media, after which those who have been invited meet in an agreed location to interact in real time and share an evenings experience. The event itself is open to creative thinking and innovation, and incorporate any number of individual activities and challenges to add to the overall experience. So how can these events benefit you or your business? Well there main advantage is that they allow your venture to gain a critical edge in your market place, and this can be invaluable in any sector that is driven and competitive. Should you organize a hugely successful social Meet-up, then your business may also become recognized as a market leader within its industry, and also as an innovative organization that is at the forefront of breaking trends and developments. In a struggling economy, this can be a decisive factor in achieving long term success. How Do You Create A Successful Social Meet-Up? With the benefits clear, the question that remains is how to create a successful social meet-up? Well, the key lies in defining its purpose, as the invitations and organization largely takes care of itself. You need to take the time to understand exactly why you want to organize a Meet-up in the first instance, as this ambition will help to determine the nature of the event and how it should unfold. Similarly, you need to visualize how the Meet-up could benefit the industry in which your business performs, as offering mutual benefits for your guests is key to rewarding their attendance. Similarly, it is important to craft a succinct and clear statement that conveys your Meet-up's purpose and sells this to people within your industry. This is the way in which you will market the event through the social media medium, using language wisely to share the key benefits of the experience that attendees can expect to offer. This is why it is so important to consider your event in detail before you bring it to fruition, as this helps you to conceive the message of your Meet-up as clearly as you possibly can. If you wish to benefit from some professionals assistance in developing your event and Social Media Day Meet-up, then consider consulting industry experts Chillisauce. Did you find this article helpful? 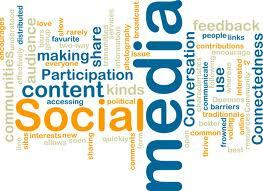 Does your business utilize social meet-up's as part of your networking activities? Please let me know by leaving your valued comments below. Sure, we can agree on meeting each other offline when two associates have been knowing each other for a while online.If we are real on the net there shouldn´t be any problem in the communication.